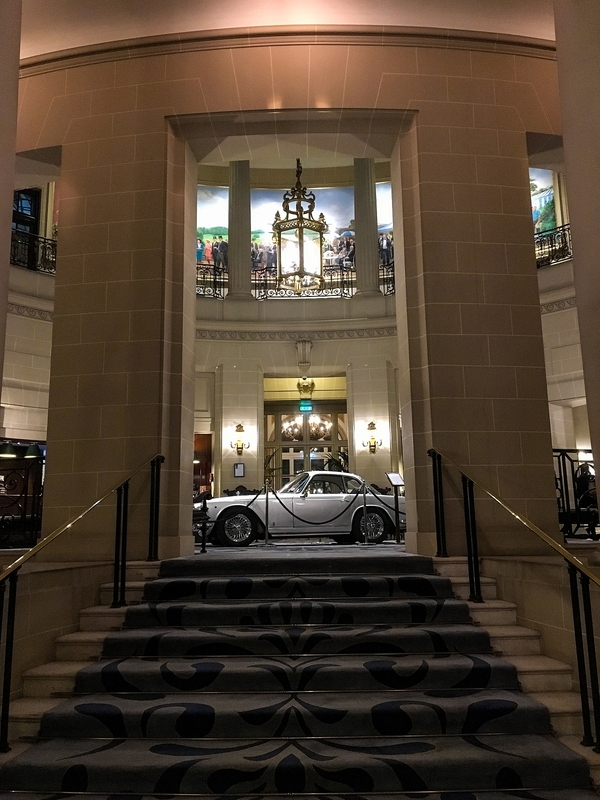 The Royal Automobile Club was displaying very special vehicle over the last week of January in its famous 'rotunda' foyer. 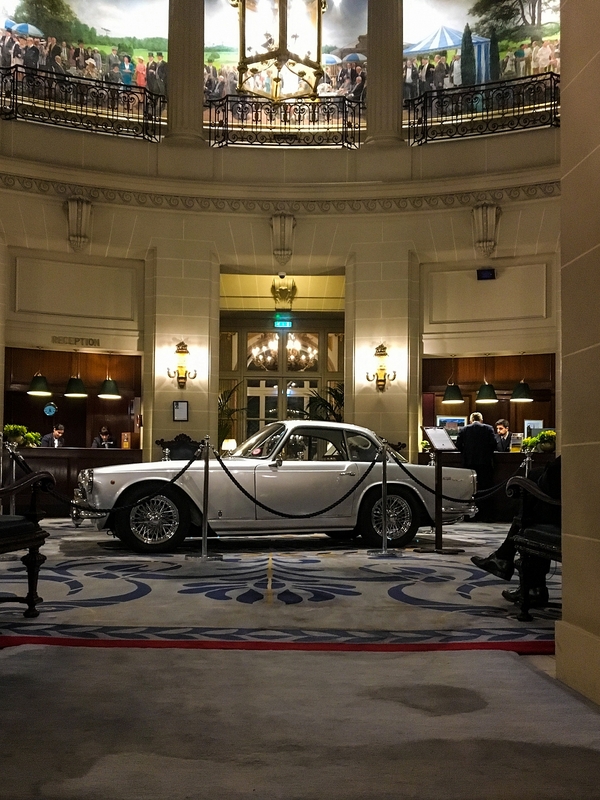 The Royal Automobile Club is one of the world's foremost private members' clubs, often referred to as the 'spiritual home of UK motoring' built on the foundation of being the United Kingdom's oldest motoring organisation. The Pall Mall clubhouse, set in the heart of the St James's area of London and offers members a decadent lifestyle and incredible facilities. 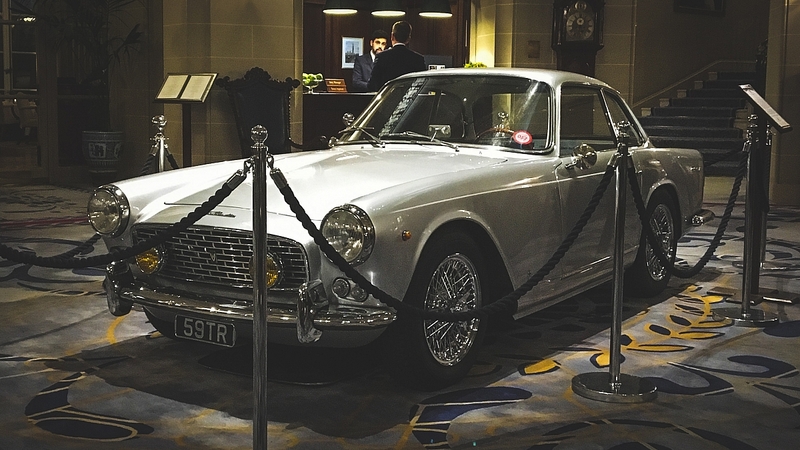 Each week in the year, the stunning entrance foyer displays some of the country's best motor cars and this week, was the turn of a TR Register member's Triumph Italia. Marc delivered the car in the early hours of Monday morning. It was quite a feat, as it is with every car, as the doors of the building must be removed and the car driven in along an intricate system of girders and ramps. 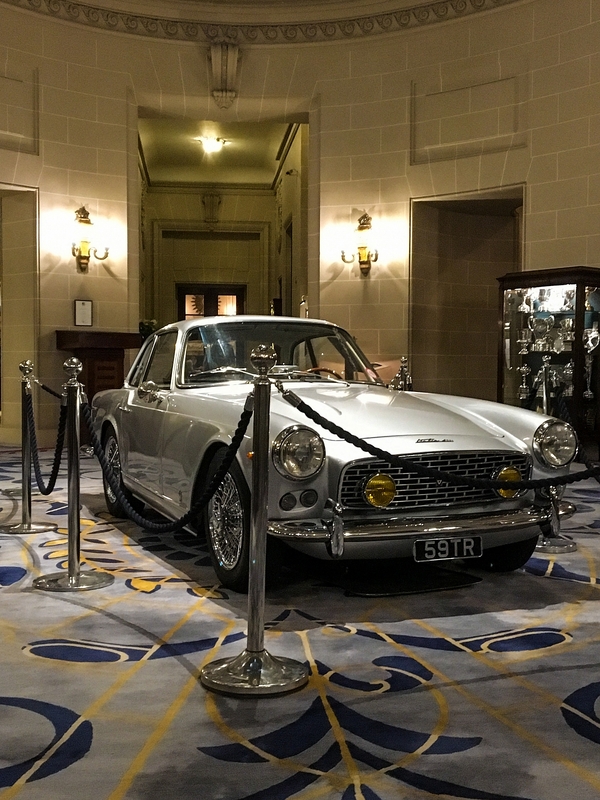 As one of the rarest Triumphs in history and boasting the elegance of Italian design, the car is perfect for the RAC Club and no doubt will do much to raise the profile of the marque amongst the UK's motoring elite. The car, carrying the apt registration number of '59 TR' was painstakingly restored over several years by a restorer in Switzerland and was finished in 2007. It was displayed in 2007 at the European Concours D'Elegance, Schwetzingen, and won 1st Prize, Best Sportscar. It was entered into the 2008 Concorso D'eleganze Villa D'Este in Class E with the entry number 68. Although unplaced in that event, it went on to win top prize in the Concours D'Elegance, Zurich later that year for Sports Coupes and Convertibles. It was then invited to be displayed on the Dunhill Driveway at the Goodwood Festival of Speed in 2010. It was also displayed at the NEC Classic Car Show in November 2016, along with five other Italia 2000s in a dedicated stand for the car. It was also invited to be one of the 60 cars at the Hampton Court Concours in 2017 as well as the London Concours the same year. It has also been the subject of a number of magazine articles over the years and won numerous local shows. This Italia also was the centrepiece of the TR Register's debut display at the London Classic Car Show, Excel last year. It bears the number plate 59 TR as it was owned briefly by someone with those initials in the UK who so loved the car, that he wanted to own it after he was diagnosed with terminal cancer. 59 TR, although in concours standard, is used by the owner regularly and has in the last two and half years already clocked up more than 3,000 miles and was driven to the RAC for its week of fame in the coveted Rotunda. Note: About 120 surviving Italias have been identified from 1990 to-date, with 55-60 thought to be in running condition.